An Amazing School Supplies Drive! 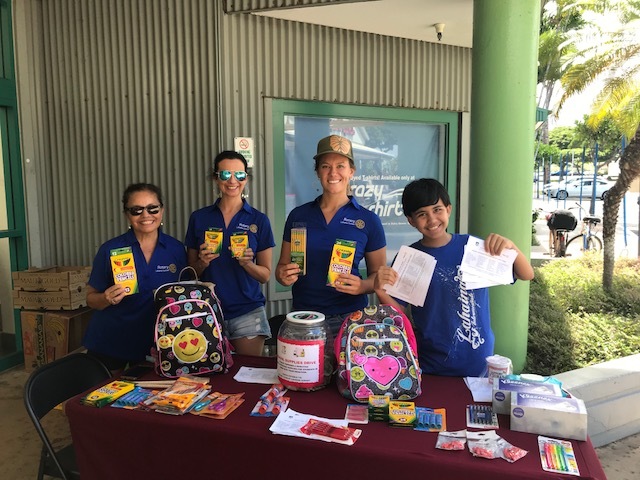 Through the generosity of the community and our club’s volunteer work and contributions, Lahaina Sunset collected over $900 on Saturday August 4th along with many boxes of donations of school supplies for our School School Supplies Drive for Hana School. These valuable donations will help teachers, families, and keiki in one of our island's most remote, and underserved communities. A huge thank you to our Youth Service Director, Erica Gale for leading this project. Also thank you to Nancy, Debbie, Kyoko, Ryan, Katie, Olinda, and Fahi for volunteering to collect donations outside of Longs on a warm and sunny Maui Day! The supplies and funds will be delivered to Hana School soon.